Our goal is that by 2020 Tokyo will have a food safety-net in place that can support 100,000 people. to increase the number of food pantries where people can access food assistance. “What if there is no food to eat today? What if there is nobody close by that you can rely on?” A food safety net looks to provide answers to these questions. 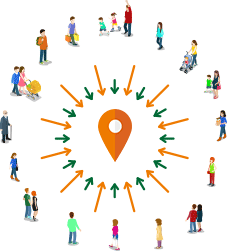 We aim to create a system where one can go at any time to a "pick-up location" to receive food from places such as a nearby police station, fire department, hospital, etc. This project envisions a society where there is always a reliable place people can go when struggling to have enough food to eat. We envision faith-based groups, NPOs, and local communities hosting these pantries with us providing food. which is a new form of public service that is lacking in Japan. with a food safety-net looks like! The foundation of all our activities. 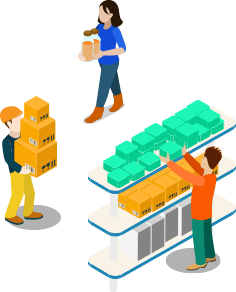 Would you like to provide support by helping us manage the new storage locations? In January 2017, a new storage was opened in the city of Yashio in Saitama as the start and supporting foundation of this project. To expand the food safety-net it was essential that we improved our ability to accept food items. This pick-up location allows for a larger number of possible donations to be accepted even faster. Won't you consider helping us manage these locations while experiencing a dynamic distribution environment!? "Food drives" are food gathered by families and donated. For families that have purchased too many canned goods or seasonings, have accumulated seasonal gifts such as snacks and noodles, or harvested more crops than expected, these extra items can be gathered and donated via a "food drive". Food drives can be held anywhere there are groups of people, such as schools, community centers, in your company, etc. Please consider supporting our cause by connecting your families to 100,000 people in need with a food bank. The goal of this project is to provide enough food for 100,000 people, which is estimated to require over 5,000 tons. Please consider working with us in aiming to create a system that can change society and utilize food that would otherwise be wasted. Together, let's work 1-to-1 to accomplish actions that overcome various challenges. In addition to managing food banks, various contributions to facilities and systems are required. Using this support framework, 2HJ can work 1-to-1 with companies and foundations that become partners to accomplish goals and overcome challenges. We're always looking for partners that can help us reach our project's goals, and whom we can work together with to provide a new, sustainable food bank model. 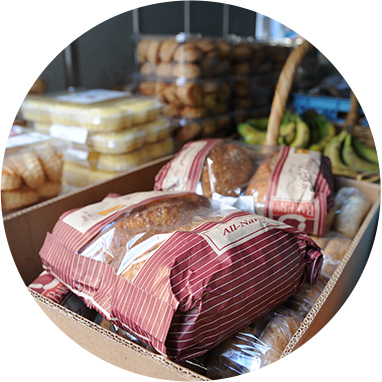 Pick-up locations are places where anyone can receive food during a time of need. 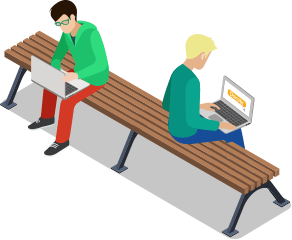 The primary goal of this project is to establish as many pick-up locations as possible within a city. 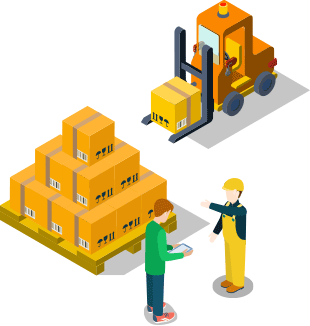 2HJ has prepared support for the establishment and management of pick-up locations. For those that would like to receive food support from 2HJ and carry out their own pick-up activates, please contact us using the appropriate form. 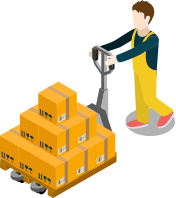 Utilize a vehicle and volunteer to pick up donations then bring them to warehouses and welfare facilities. 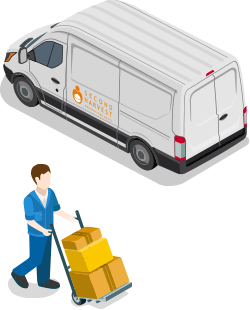 Volunteer work involves picking up food donations using a Second Harvest Japan truck or your own vehicle, and then bringing them to warehouses and welfare institutions. This also includes assistance from logistics companies providing their own trucks. Delivering these foods are not simply a project, but an essential lifeblood of food bank operations. For those looking to contribute to a social cause by simply providing a vehicle, please consider volunteering. 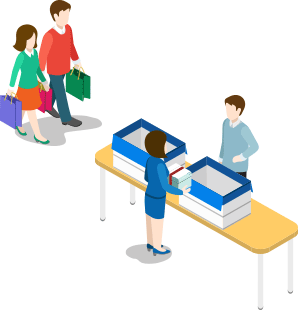 Even if you can't come to Second Harvest Japan as a result of location or tie, you can help support the goal of our project through online donations. In combination with food, your support can reach the thanks of 100,000 people. Utilizing pick-up locations, where food is provided, is key to this project. please contact the location before visiting. The 100,000 People Project will create a network that provides sufficient food to support a livelihood. With this project we take another step towards the ultimate goal of "Food for All People". To reach our goal, each pantry will average 15 new households each week. 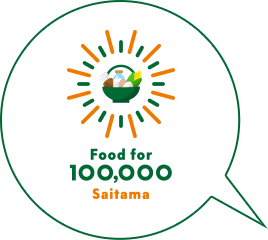 Our vision is to see this program, “Food for 100,000” replicated in other areas such as Kanagawa and Saitama. 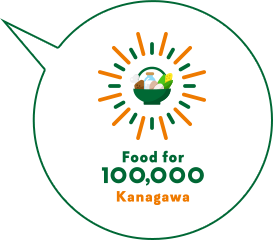 By 2020, we hope to serve 60,000 individuals in Kanagawa and Saitama. to support 100,000 individuals as a first step to creating a food safety-net for their community.